JODY FIRST SANG PUBLICLY AT THE AGE OF 10 WITH HIS UNCLES BAND. HE COMES FROM A MUSICAL FAMILY. TWO OLDER BROTHERS WHO BOTH PLAY GUITAR, HIS FATHER PLAYED AND SANG ON A SMALL COUNTRY RADIO STATION, AND HIS SISTER PLAYS MANDOLIN. IT WASNT UNTIL HE WAS A SENIOR IN HIGH SCHOOL THAT JODY BECAME INTERESTED IN PLAYING AN INSTRUMENT. IT WAS ONLY NATURAL THAT GUITAR WAS HIS CHOICE. AFTER HIGH SCHOOL, HE ATTENDED A JUNIOR COLLEGE FOR TWO YEARS ON A FULL BASEBALL SCHOLARSHIP WHILE WOODSHEDDING ON HIS MUSIC. HE FORMED HIS FIRST BAND (BAD REP) WITH CHILDHOOD PAL, (MCKINLEY AND BEGGS) DRUMMER, TONY HALL. THE BAND PLAYED TOGETHER 6 YEARS BEFORE DISBANDING. IN 1990 THEY FORMED A COUNTRY BAND WILDFIRE AND PLAYED VENUES ALONG THE ENTIRE EAST COAST OF FL. WHILE WITH WILDFIRE THE BAND OPENED SHOWS FOR A NUMBER OF ARTISTS INCLUDING GEORGE JONES, MERLE HAGGARD, EDDIE RABBIT, AND RONNY MCDOWELL. 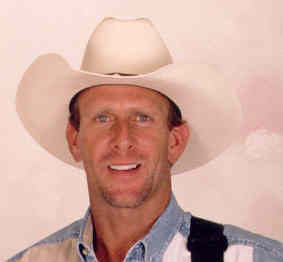 HE LEFT THE BAND AND MOVED TO NASHVILLE, TN IN 1996 WHERE HE TEAMED UP WITH FRIENDS RONNY MCKINLEY, AND HANK COCHRAN. WHILE IN NASHVILLE JODY WROTE, RECORDED, AND PERFORMED WITH MANY GREAT ARTISTS AND WRITERS.